The beautiful community of Sanctuary at Wild Wing Plantation consists of all single family homes located in Carolina Forest in Myrtle Beach. The community is small like most of the communities in Carolina Forest and the homes all rest at the end of Sanctuary Blvd. 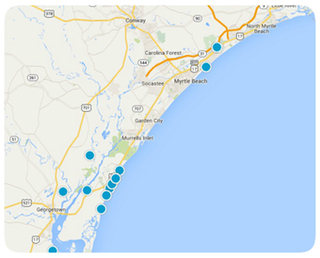 Residents are only a few miles from the beach and only 2 miles from Coastal Carolina University. The homes are custom style ranch homes and a few of them sit directly on the Wild Wing Golf Course. The typical home in the community is a 3 bedroom 2 bath style with two car garages. Residents are only a few minutes from shopping, dining, entertainment, nightlife, and outdoor recreation. If you are interested in any of these beautiful homes, please contact us today for more information.